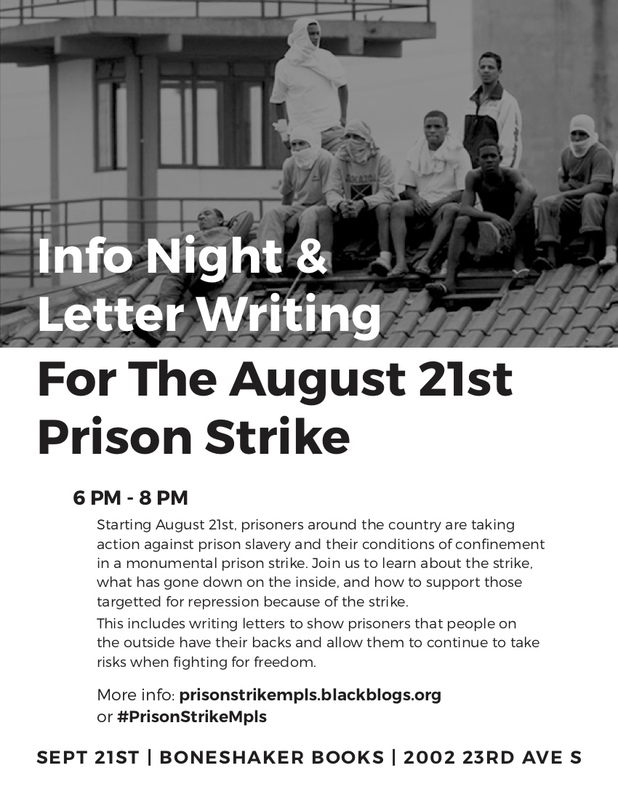 Starting August 21st, prisoners around the country are taking action against prison slavery and their conditions of confinement in a monumental prison strike. Join us to learn about the strike, what has gone down on the inside, and how to support those targeted for repression because of the strike. This includes writing letters to show prisoners that people on the outside have their backs and allow them to continue to take risks when fighting for freedom.